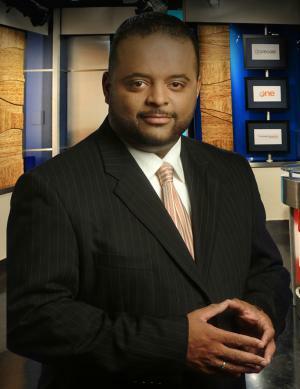 Roland Sebastian Martin was born on 14 November 1968, in Houston, Texas USA, of Haitian descent. He is a journalist, columnist, commentator and author, currently working at TV One as a commentator and the host of “News One Now”. So just how rich is Roland Martin? As sources state, Martin has earned a net worth over $3 million, as of early 2016. His wealth has been accumulated during his long career as a journalist, columnist and commentator as well as through his publications. Martin grew up in Houston’s African-American community and attended Jack Yates High School where he was part of the magnet program in communications. He later enrolled in Texas A&M University on an academic scholarship, earning his bachelor of science degree in journalism. While at college, Martin worked for the Bryan-College Station Eagle and for KBTX. He became a member of Alpha Phi Alpha Fraternity Inc.. Martin also attended Louisiana Baptist University graduating with a master’s degree in Christian Communications in 2008. After graduating from A&M in 1991, he started work at the Austin American-Statesman. He later worked for Forth Worth Star-Telegram as a city hall reporter and as a sports reporter for KRLD radio; his net worth was starting to rise. Martin then became the news director and morning anchor at KKDA-AM radio in Dallas, and the editor of Dallas Weekly and the Houston Defender newspaper. During the early 2000s, Martin became the founding editor of BlackAmericaWeb.com, and the publisher of Dallas-Fort Worth Heritage newspaper. He later came back to radio as a news correspondent for the American Urban Radio Network and as a sports commentator on “Fifth Quarter Program” on Washington radio station WOL. During this time he also founded the ROMAR Media Group in Dallas, and became the founding news editor for Savoy magazine, intensifying his net worth. In 2004 Martin worked as the general manager of the Chicago Defender and the following year he hosted a radio talk show for Chicago’s WVON-AM. In 2007 his column was taken by the nationally distributed Creators Syndicate and ran in the Detroit News, Denver Post, and Indianapolis Star. In 2007 Martin joined CNN as a contributor, appearing in the network’s numerous shows, increasing his wealth once again. The following year he became the senior analyst for the “Tom Joyner Morning Show”. He left CNN in 2013 and began working at TV One as a commentator, and the host of its daily morning news show called “News One Now”, focusing on politics, sports, culture and entertainment and being the first program portraying these events from African-American point-of-view. Martin has won numerous awards during his career. In 2008 he won the President’s Award by the National Association of Black Journalists for his work in multiple media platforms, was inducted into the Texas A&M University Journalism Hall of Honor and won the NAACP Image Award for Best Interview for “In Conversation: The Sen. Barack Obama Interview.” The following year he won the same Award for Best Interview for “In Conversation: The Michelle Obama Interview”. Ebony Magazine selected him as one of the 150 Most Influential African Americans in the USA on three occasions in 2008, 2009 and 2010. In 2013 the National Association of Black Journalists named him the Journalist of the Year. The list includes over 30 awards which prove the success and reputation Martin has enjoyed. Martin has also been the author of three books: “Speak, Brother! A Black Man’s View of America”, “Listening to the Spirit Within: 50 Perspectives on Faith”, and “The First: President Barack Obama’s Road to the White House as originally reported by Roland S. Martin”. Speaking of his private life, Martin has been married to Rev. Jacquie Hood Martin since 2001. Although the couple never had their own children, they have raised four of Martin’s nieces. The family resides in Leesburg, Virginia. In 2012 Martin made headlines for his tweet about a Super Bowl David Beckham advertisment. His comment “If a dude at your Super Bowl party is hyped about David Beckham’s H&M underwear ad, smack the ish out of him!” was negatively received by GLAAD, and Martin was reportedly suspended by CNN that year. Parents Reginald Lynn Martin Sr.